i was thinking about some products that i have been loving lately, and decided to do a segment called "Trending" where i share my favorite products of the moment. not my all time favorites, not my must-haves, but rather the products that are trending in my beauty regime. China Glaze's Aquadelic has my heart. 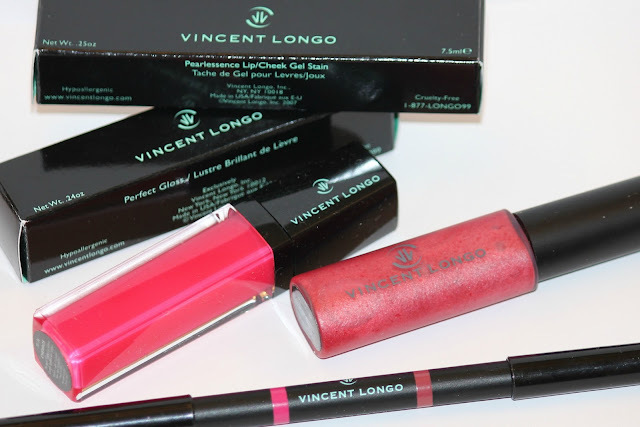 i'm loving the Vincent Longo cheek and lip stain. tutorial for this next Monday. remember these? a month later, including a Florida vacay, and they still look good. Pretty! Is this close to For Audrey? I love that nail color! I'm surprised those nail decals have lasted so long!